The MM500 was specifically designed to be able to handle actual jobsite abuse, and that included making it water and dust proof—with an IP67 rating, and giving it a durable shell that could withstand falls from up to 10-feet. 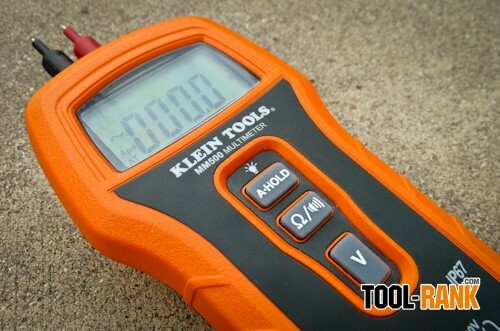 When Klein talked to professionals, they found out that they are genuinely afraid to use their multimeters up on ladders for fear of dropping them. 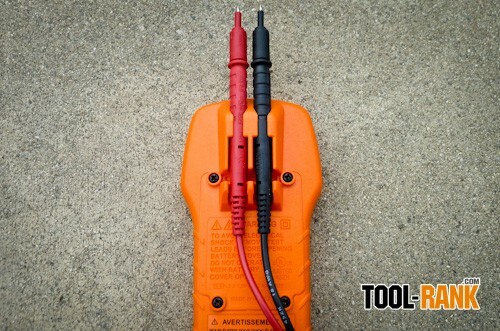 Besides being tough, the MM500 is one of the easiest multimeters to use. 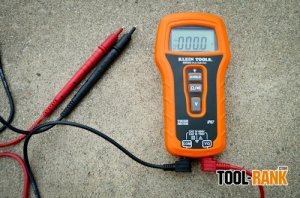 As far as multimeters go, it is one of the more basic types, but the features that it has are super easy to use. It is auto-ranging all the way up to 750-volt and automatically detects whether it is measuring AC or DC voltage. 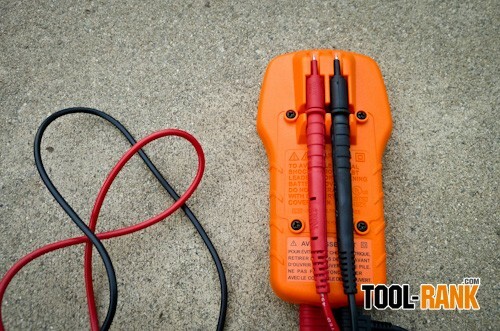 It can also check for continuity with audio and visual alerts, and can measure resistance up to 400 ohm's. With only three buttons on-board, and clear labeling, you don't even have to read the manual to know what each function does (though you probably should read it anyway). I am always a sucker for the small details and Klein got them right too. When working in spaces where you might not be able to see the meter, an auto-hold function can be enabled that will lock the reading on the display. In addition, on-board is a backlight on the digital display, and self-storing leads that are spaced the correct distance to quickly measure the voltage in electrical outlets. 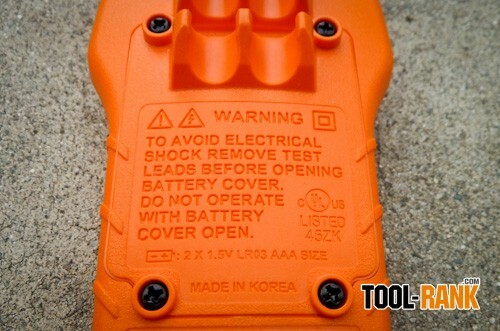 Klein also used captive screws on the battery door so when you need to change out the 2xAAA batteries, you won't be losing your door screws. 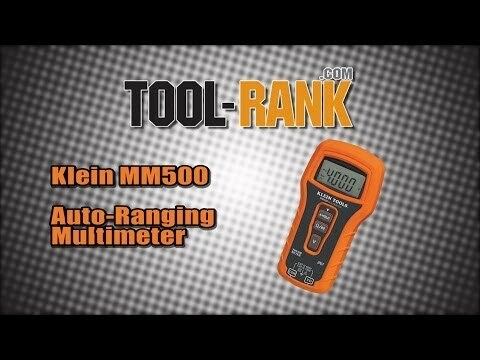 Like I said, the Klein MM500 is pretty basic as far as features go (voltage, resistance, and continuity), but Klein implements the features and makes using them easier than most other meters on the market. The real selling point, however, is its durability and as you can see in my simple torture test video, it handled them quite well. 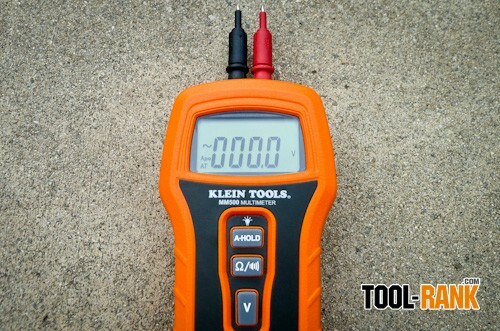 Tool provided by Klein Tools for review.